Harry Maguire has opened up on how life has changed since he was transformed into a household name at last summer's World Cup. 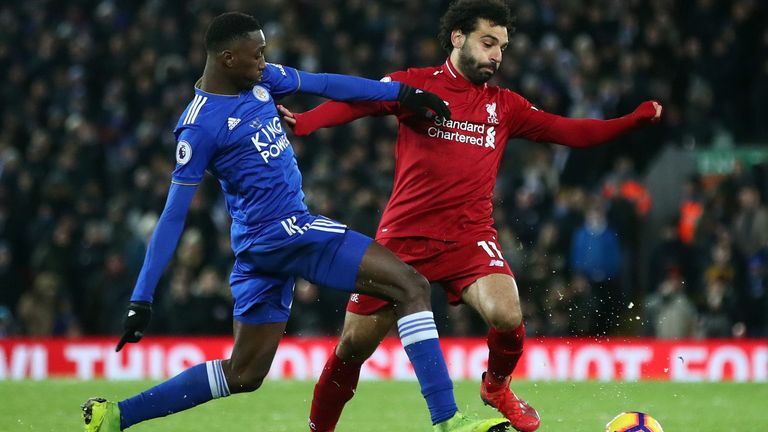 Leicester host Manchester United live on Sky Sports Premier League this Sunday from 1pm after Maguire's goal in a 1-1 draw at Liverpool on Wednesday earned them a seventh point from their last three games against the top six. Leicester 3-5 Man Utd: Where are they now? Facing United will bring back memories of the opening game of the season for the defender, when he played the full 90 minutes on the back of just three weeks off following England's World Cup run to the semi-finals. Maguire started every game as the Three Lions reached the last four in Russia, with more than 26 million people across the country watching England's defeat to Croatia. The 25-year-old was already relatively well-known after a strong debut season at Leicester, but things stepped up a level when he returned home. He said: "I tried to keep it as normal as possible, but there was a lot more recognition, more photos and more signatures but it's nice. "I had a great welcome when I came back and every fan I spoke to was pleased and happy and had a great summer. That was the main thing, we wanted to make the country proud of us. I think we did that and hopefully we can go on to win some things. "When you're on the pitch there's more expectation on your shoulders too, people see you playing at a World Cup and want to see you follow that up. "My performances get more analysis and there's more scrutiny if I do make a mistake - but it's something I feel like I can deal with." More than deal with it, Maguire built on a strong performance against United in August to continue his impressive development at the King Power Stadium. He has consistently lived up to any expectations placed upon him, earning player of the season awards in League 1 at Sheffield United and in the Premier League with Hull City before moving further up the domestic pyramid to Leicester. He feels the rising pressure since the World Cup has helped rather than harmed him. He said: "You've just got to focus on your game, keep working hard on the training pitch and in the gym, and if you do that the belief and confidence in yourself will bring you through that. "I got just under three weeks off after the World Cup. It was nice to get away, have a break and refresh my mind, get some Sun. "I felt really good going into the game even though I had three or four days' worth of training going into the game. I had great confidence from the World Cup, what that had brought of me, and having played on the biggest stage I thought I could play at Old Trafford and we could put on a performance and we did that night. "It was nice to get back out there for the club and pull on a Leicester shirt again. I feel like I've played really well, obviously I had a setback with injury but we've had numerous games and played numerous big teams and have been really good against the big six."